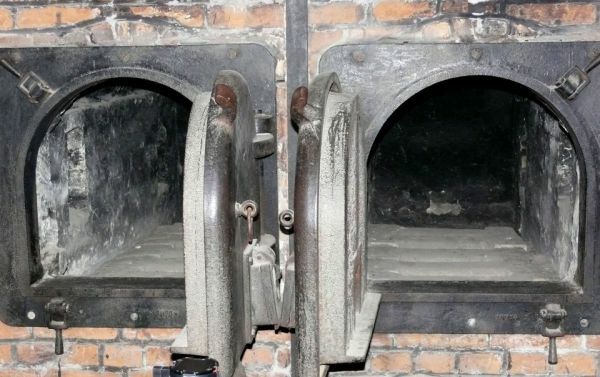 The word “Holocaust,” from the Greek words “holos” (whole) and “autos” (burned), was historically used to describe a sacrificial offering burned on an altar. Since 1945, the word has taken on a new and horrible meaning: the mass murder of some 6 million European Jews (as well as members of some other persecuted groups, such as Gypsies and homosexuals) by the German Nazi regime during the Second World War. To the anti-Semitic Nazi leader Adolf Hitler, Jews were an inferior race, an alien threat to German racial purity and community. 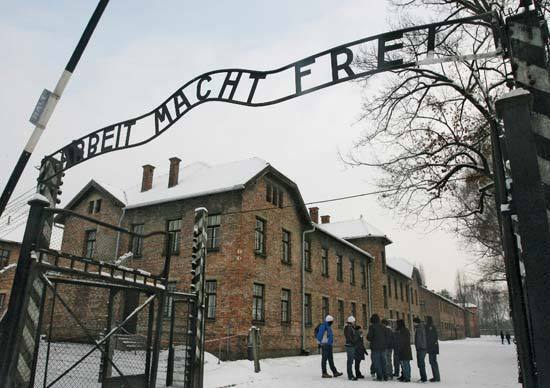 After years of Nazi rule in Germany, during which Jews were consistently persecuted, Hitler’s “final solution”–now known as the Holocaust–came to fruition under the cover of world war, with mass killing centers constructed in the concentration camps of occupied Poland. Anti-Semitism in Europe did not begin with Adolf Hitler. Though the use of the term itself dates only to the 1870s, there is evidence of hostility toward Jews long before the Holocaust–even as far back as the ancient world, when Roman authorities destroyed the Jewish temple in Jerusalem and forced Jews to leave Palestine. The Enlightenment, during the 17th and 18th centuries, emphasized religious toleration, and in the 19th century Napoleon and other European rulers enacted legislation that ended long-standing restrictions on Jews. Anti-Semitic feeling endured, however, in many cases taking on a racial character rather than a religious one. Even in the early 21st century, the legacy of the Holocaust endures. The Swiss government and banking institutions have in recent years acknowledged their complicity with the Nazis and established funds to aid Holocaust survivors and other victims of human rights abuses, genocide or other catastrophes. The roots of Hitler’s particularly virulent brand of anti-Semitism are unclear. Born in Austria in 1889, he served in the German army during World War I. Like many anti-Semites in Germany, he blamed the Jews for the country’s defeat in 1918. Soon after the war ended, Hitler joined the National German Workers’ Party, which became the National Socialist German Workers’ Party (NSDAP), known to English speakers as the Nazis. While imprisoned for treason for his role in the Beer Hall Putsch of 1923, Hitler wrote the memoir and propaganda tract “Mein Kampf” (My Struggle), in which he predicted a general European war that would result in “the extermination of the Jewish race in Germany.” Hitler was obsessed with the idea of the superiority of the “pure” German race, which he called “Aryan,” and with the need for “Lebensraum,” or living space, for that race to expand. In the decade, after he was released from prison, Hitler took advantage of the weakness of his rivals to enhance his party’s status and rise from obscurity to power. On January 20, 1933, he was named chancellor of Germany. After President Paul von Hindenburg’s death in 1934, Hitler anointed himself as “Fuhrer,” becoming Germany’s supreme ruler. The twin goals of racial purity and spatial expansion were the core of Hitler’s worldview, and from 1933 onward they would combine to form the driving force behind his foreign and domestic policy. At first, the Nazis reserved their harshest persecution for political opponents such as Communists or Social Democrats. The first official concentration camp opened at Dachau (near Munich) in March 1933, and many of the first prisoners sent there were Communists. Like the network of concentration camps that followed, becoming the killing grounds of the Holocaust, Dachau was under the control of Heinrich Himmler, head of the elite Nazi guard, the Schutzstaffel (SS), and later chief of the German police. By July 1933, German concentration camps (Konzentrationslager in German, or KZ) held some 27,000 people in “protective custody.” Huge Nazi rallies and symbolic acts such as the public burning of books by Jews, Communists, liberals and foreigners helped drive home the desired message of party strength. In 1933, Jews in Germany numbered around 525,000, or only 1 percent of the total German population. During the next six years, Nazis undertook an “Aryanization” of Germany, dismissing non-Aryans from civil service, liquidating Jewish-owned businesses and stripping Jewish lawyers and doctors of their clients. Under the Nuremberg Laws of 1935, anyone with three or four Jewish grandparents was considered a Jew, while those with two Jewish grandparents were designated Mischlinge (half-breeds). Under the Nuremberg Laws, Jews became routine targets for stigmatization and persecution. This culminated in Kristallnacht, or the “night of broken glass” in November 1938, when German synagogues were burned, and windows in Jewish shops were smashed; some 100 Jews were killed and thousands more arrested. From 1933 to 1939, hundreds of thousands of Jews who were able to leave Germany did, while those who remained lived in a constant state of uncertainty and fear. In September 1939, the German army occupied the western half of Poland. German police soon forced tens of thousands of Polish Jews from their homes and into ghettoes, giving their confiscated properties to ethnic Germans (non-Jews outside Germany who identified as German), Germans from the Reich or Polish gentiles. Surrounded by high walls and barbed wire, the Jewish ghettoes in Poland functioned like captive city-states, governed by Jewish Councils. In addition to widespread unemployment, poverty, and hunger, overpopulation made the ghettoes breeding grounds for disease such as typhus. Meanwhile, beginning in the fall of 1939, Nazi officials selected around 70,000 Germans institutionalized for mental illness or disabilities to be gassed to death in the so-called Euthanasia Program. After prominent German religious leaders had protested, Hitler put an end to the program in August 1941 though killings of the disabled continued in secrecy, and by 1945 some 275,000 people deemed handicapped from all over Europe had been killed. In hindsight, it seems clear that the Euthanasia Program functioned as a pilot for the Holocaust. Throughout the spring and summer of 1940, the German army expanded Hitler’s empire in Europe, conquering Denmark, Norway, the Netherlands, Belgium, Luxembourg, and France. Beginning in 1941, Jews from all over the continent, as well as hundreds of thousands of European Gypsies, were transported to the Polish ghettoes. The German invasion of the Soviet Union in June 1941 marked a new level of brutality in warfare. Mobile killing units called Einsatzgruppen would murder more than 500,000 Soviet Jews and others (usually by shooting) over the course of the German occupation. A memorandum dated July 31, 1941, from Hitler’s top commander Hermann Goering to Reinhard Heydrich, chief of the SD (the security service of the SS), referred to the need for an Endlösung (final solution) to “the Jewish question.” Beginning in September 1941, every person designated as a Jew in German-held territory was marked with a yellow star, making them open targets. 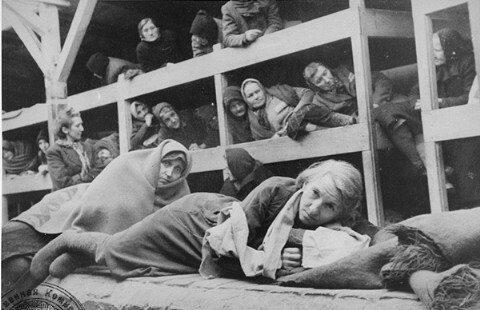 Tens of thousands were soon being deported to the Polish ghettoes and German-occupied cities in the USSR. 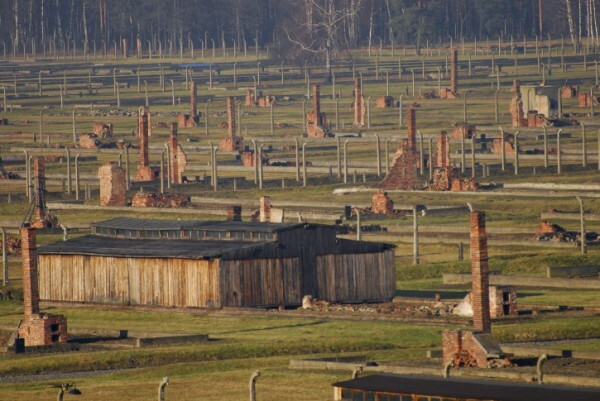 Since June 1941, experiments with mass killing methods had been ongoing at the concentration camp of Auschwitz, near Krakow. That August, 500 officials gassed 500 Soviet POWs to death with the pesticide Zyklon-B. The SS soon placed a huge order for the gas with a German pest-control firm, an ominous indicator of the comingHolocaust. Beginning in late 1941, the Germans began mass transports from the ghettoes in Poland to the concentration camps, starting with those people viewed as the least useful: the sick, old and weak and the very young. The first mass gassings began at the camp of Belzec, near Lublin, on March 17, 1942. Five more mass killing centers were built at camps in occupied Poland, including Chelmno, Sobibor, Treblinka, Majdanek and the largest of all, Auschwitz-Birkenau. From 1942 to 1945, Jews were deported to the camps from all over Europe, including German-controlled territory as well as those countries allied with Germany. The heaviest deportations took place during the summer and fall of 1942 when more than 300,000 people were deported from the Warsaw ghetto alone. Though the Nazis tried to keep the operation of camps secret, the scale of the killing made this virtually impossible. Eyewitnesses brought reports of Nazi atrocities in Poland to the Allied governments, who were harshly criticized after the war for their failure to respond, or to publicize news of the mass slaughter. This lack of action was likely mostly due to the Allied focus on winning the war at hand but was also a result of the general incomprehension with which news of the Holocaust was met and the denial and disbelief that such atrocities could be occurring on such a scale. At Auschwitz alone, more than 2 million people were murdered in a process resembling a large-scale industrial operation. 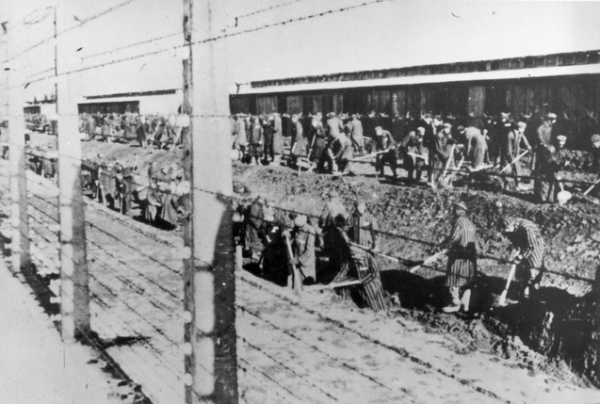 A large population of Jewish and non-Jewish inmates worked in the labor camp there; though only Jews were gassed, thousands of others died of starvation or disease. 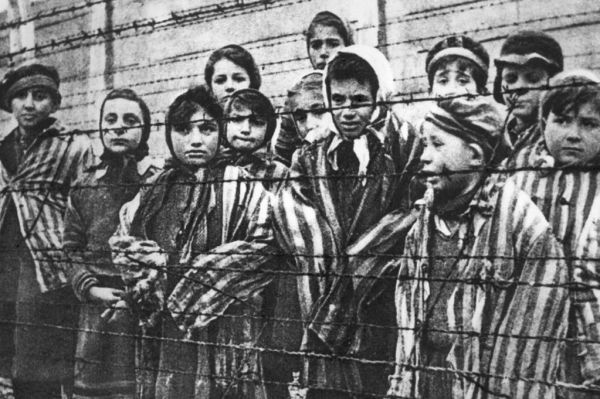 During the summer of 1944, even as the events of D-Day (June 6, 1944) and a Soviet offensive the same month spelled the beginning of the end for Germany in the war, a large proportion of Hungary’s Jewish population was deported to Auschwitz, and as many as 12,000 Jews were killed every day. The wounds of the Holocaust–known in Hebrew as Shoah, or catastrophe–were slow to heal. Survivors of the camps found it nearly impossible to return home, as in many cases they had lost their families and been denounced by their non-Jewish neighbors. As a result, the late 1940s saw an unprecedented number of refugees, POWs, and other displaced populations moving across Europe. To punish the villains of the Holocaust, the Allies held the Nuremberg Trials of 1945-46, which brought Nazi atrocities to horrifying light. Increasing pressure on the Allied powers to create a homeland for Jewish survivors of the Holocaust would lead to a mandate for the creation of Israel in 1948. Over the decades that followed, ordinary Germans struggled with the Holocaust’s bitter legacy, as survivors and the families of victims sought restitution of wealth and property confiscated during the Nazi years. Beginning in 1953, the German government made payments to individual Jews and the Jewish people as a way of acknowledging the German people’s responsibility for the crimes committed in their name.